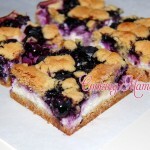 Sweet, tangy, lemon cream cheese bars with fresh blueberries and crumb topping. Heat oven to 350 degrees. Line 13x9-inch pan with foil, with ends of foil extending over sides. In a large bowl, combine cake mix, melted butter and 1 egg; beat with an electric mixer until well blended. Press 2/3 of the mixture onto bottom of prepared pan. In a separate bowl, beat cream cheese and sugar together until well blended. Add remaining egg, lemon zest and juice; mix well. Pour over crust; top with berries. 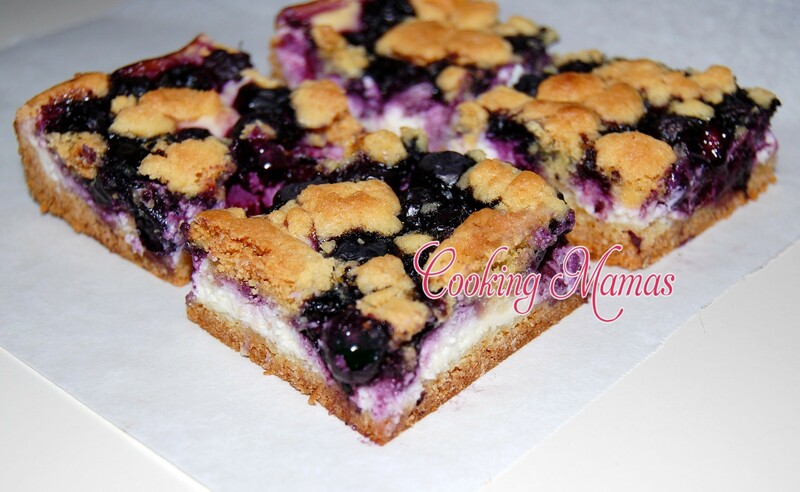 Pinch small pieces of the remaining cake mixture between your fingers and sprinkle over the berries; lightly press into cream cheese layer. Bake 55 to 60 minutes or until toothpick inserted in center comes out clean. Cool completely. Use foil handles to lift dessert from pan before cutting into bars. Keep refrigerated. Cook's Note: For best results, refrigerate the cooled dessert before cutting into bars.